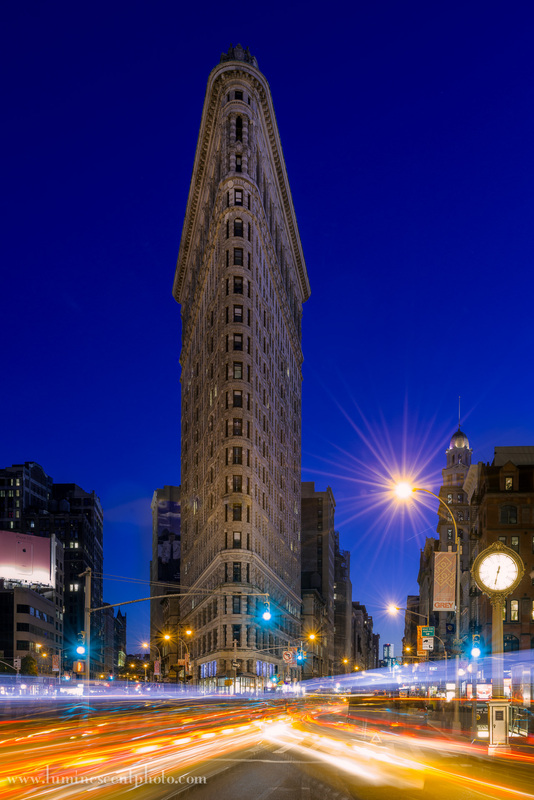 Flatiron Building at twilight, NYC. 25s exposure with Nikon D800e. 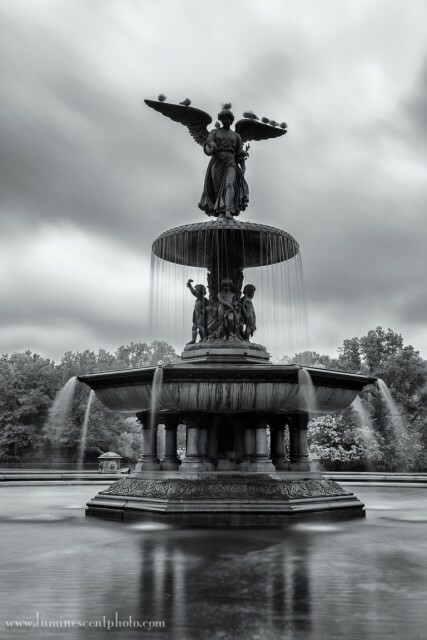 I’m back from New York City, where I had the pleasure of attending Photo Plus Expo 2013. I also had a great time leading a city photo-walk with my very talented colleague, Deborah Sandidge. 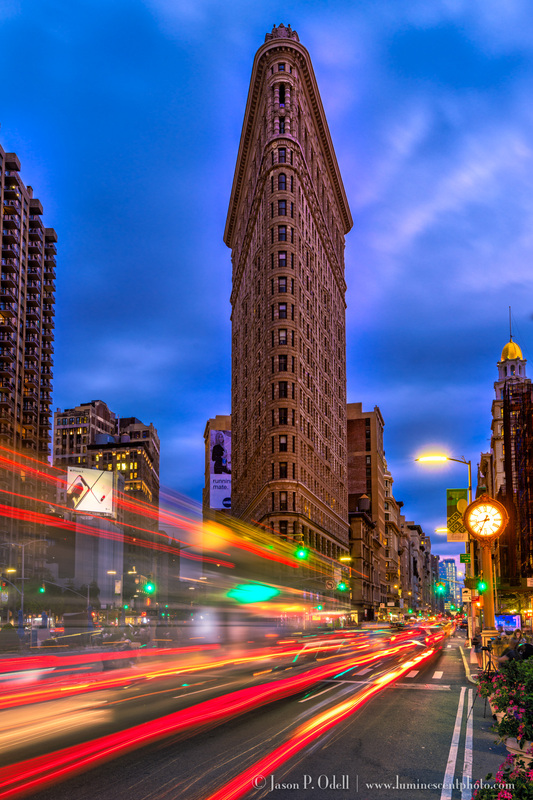 This year, we made the Flatiron Building the focus of our photo walk. After sunset, some of us hung around and did some long exposures with the heavy traffic and blue hour. I used my Nikon D800e with 24-70mm f/2.8 AFS G zoom Nikkor lens on a tripod to capture this image. I then processed it in Lightroom 5 and Color Efex Pro 4. Check out “Blue Hour Monday,” a new weekly photo theme on Google Plus curated by Deborah and myself. All you need to do is post an image taken during the magical blue hour and use the hashtag #bluehourmonday on it. Each week, Deborah and I will pick and share some of our favorites with the G+ community! The new World Trade Center building rises from lower Manhattan behind the Brooklyn Bridge. I was in New York last week for Photo Plus Expo, and I had some opportunities to shoot around the city. I was fortunate to get out before Hurricane Sandy devastated the east coast. My thoughts and wishes are with the people struggling without power and whose homes were damaged from the storm. 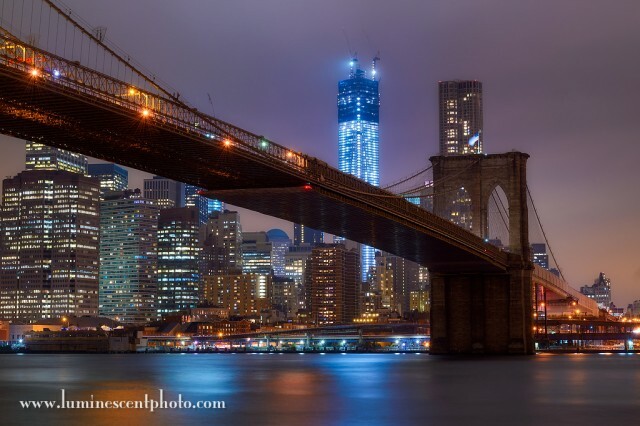 This shot is of the Brooklyn Bridge (foreground) with the new World Trade Center Building (Freedom Tower) rising in the background. I processed the RAW image using custom WB adjustments to get the hues interesting, followed by Color Efex Pro 4 for the final touches and contrast enhancements. Save 15% off all Nik Software Products using code: JODELL at checkout.